Designed for citizens who come to Washington, DC, to meet with their congressional representatives in the House and Senate to advocate on their own behalf or on behalf of an organization or association. This Pocket Guide will help those citizens be more effective advocates, part of the "majority who participate." Perfect for grassroots advocates and as a premium for your PAC members. This is the condensed version of Citizen's Handbook to Influencing Elected Official and is perfect for your members who are in Washington for your organization's annual National Advocacy Day / Government Affairs Institute /Capitol Hill Day. 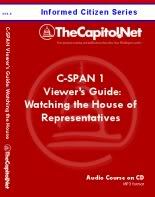 FREE copy of our Pocket Guide to Advocacy on Capitol Hill with each order of the Congressional Directory ordered on our web site. The Pocket Guide to Advocacy on Capitol Hill is included as part of the program materials in our custom National Advocacy Day / Government Affairs Institute / Capitol Hill Day programs. If you would like to see a FREE copy of this Pocket Guide and you are responsible for organizing your organization's PAC or grassroots program / Capitol Hill Day, please complete this online request or contact us for details: 202-678-1600, ext. 112. When you place an order on our web site for the Pocket Guide, you have the option to also receive an equal number of Pocket Constitutions at no cost - contact us within 1 business day after you place your Pocket Guide order with your order number. We can also customize our Pocket Guide to Advocacy on Capitol Hill for your organization with a minimum order of 2,000 copies. Our Pocket Guide fits in a business-size (#10) envelope and can be easily customized by using standard address labels: front and back covers using Avery 5160 or equivalent, inside covers using a 3" x 5" adhesive label (e.g., PlanetLabel.com, # LT351-4BP). If your organization wants to customize the covers and with additional inside pages, please contact us. This Pocket Guide is included as part of the program materials in our custom National Advocacy Day / Government Affairs Institute / Capitol Hill Day programs--contact us for details: 202-678-1600, ext. 115. Ch. 13 What Kind of Mail Do Lawmakers Really Read? This Pocket Guide is included as part of the program materials in our custom National Advocacy Day / Capitol Hill Day programs--contact us for details: 202-678-1600, ext. 112. 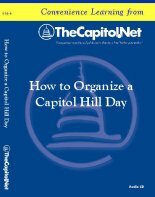 If you would like to see a FREE copy of this Pocket Guide and you are responsible for organizing your organization's Capitol Hill Day, please complete this online request. 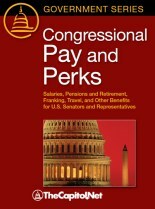 Have a suggestion for the Pocket Guide to Advocacy on Capitol Hill? If you have a suggestion for a change or addition to a future edition of the Pocket Guide to Advocacy on Capitol Hill, please contact us or complete our online suggestion form.